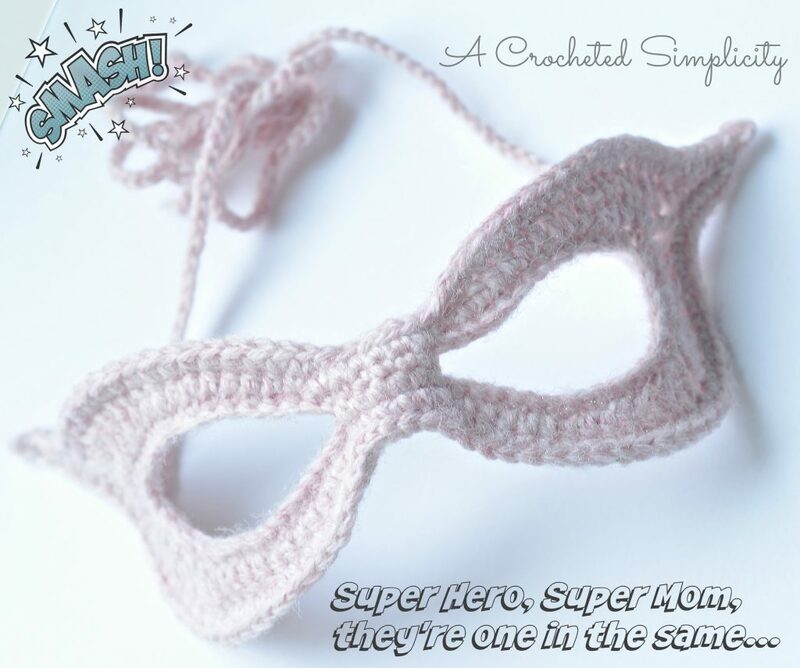 Free Crochet Pattern: Super Mom, Super Hero Mask! 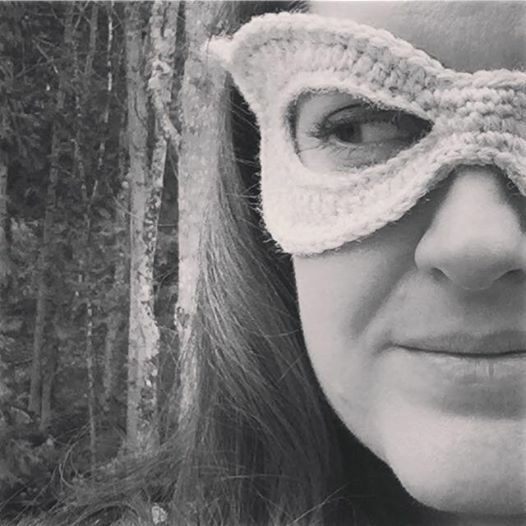 My kids asked me what I was going to dress up as for Halloween this year and my response was, “Super Mom!”…and then I crocheted myself a mask to play the part. 🙂 I posted a photo on Instagram (follow me there for more fun behind-the-scenes pics) and had several ask for the pattern. So I crocheted another one, wrote up the pattern and took a few tutorial pics to share with all of you! Yarn: 25 yards / Light Worsted Weight / 4 (yarn shown in the samples is Lion Brand Yarn Wool Ease in Blush Heather). 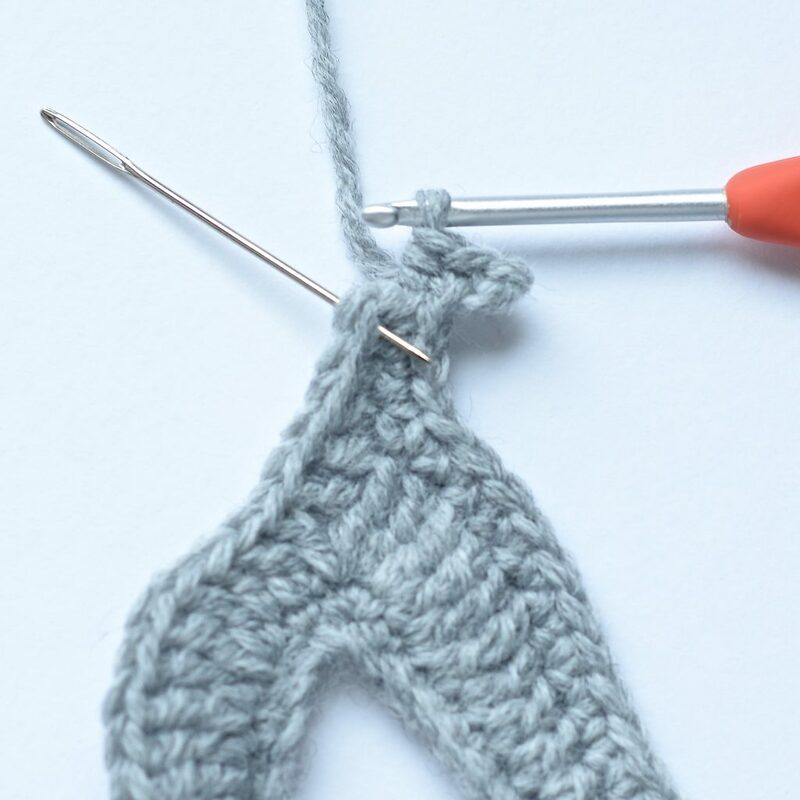 *Have you always loved the look of crocheted cables, but find yourself intimidated by them? 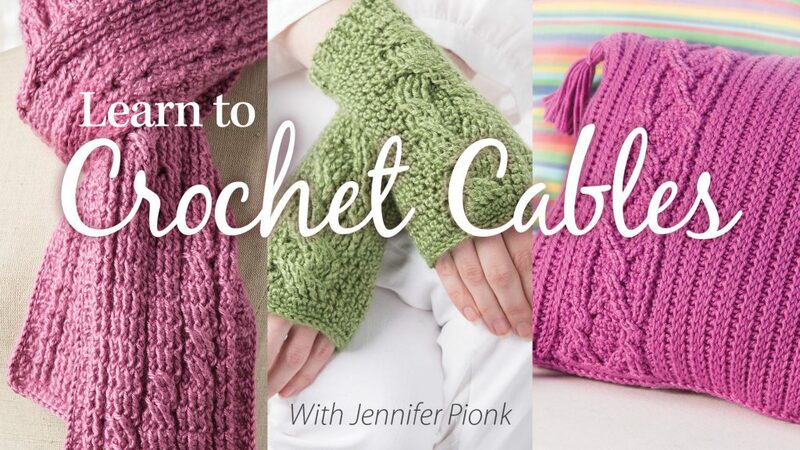 Take my Learn to Crochet Cables Annies video class and let me teach you all about cables and walk you through 3 great projects! Clink the photo below to find out more! Round 3: Sl st in next 6 sts (See Photo Above), sc in next 16 sts, skip next st, sc in next 3 sts, (See Top Photo Below), ch 4, sl st in 3rd ch from hook, hdc in next ch, sc in next 10 sts, 2 sc in next 4 sts, sc in next 14 sts, sl st in next 6 sts, sc in next 14 sts, 2 sc in next 4 sts, sc in next 8 sts, ch 4, sl st in 3rd ch from hook, hdc in next ch, sc in next 3 sts, skip next st, sc in last 18 sts. Special Join to 1st sl st. (See set of 3 photos below). 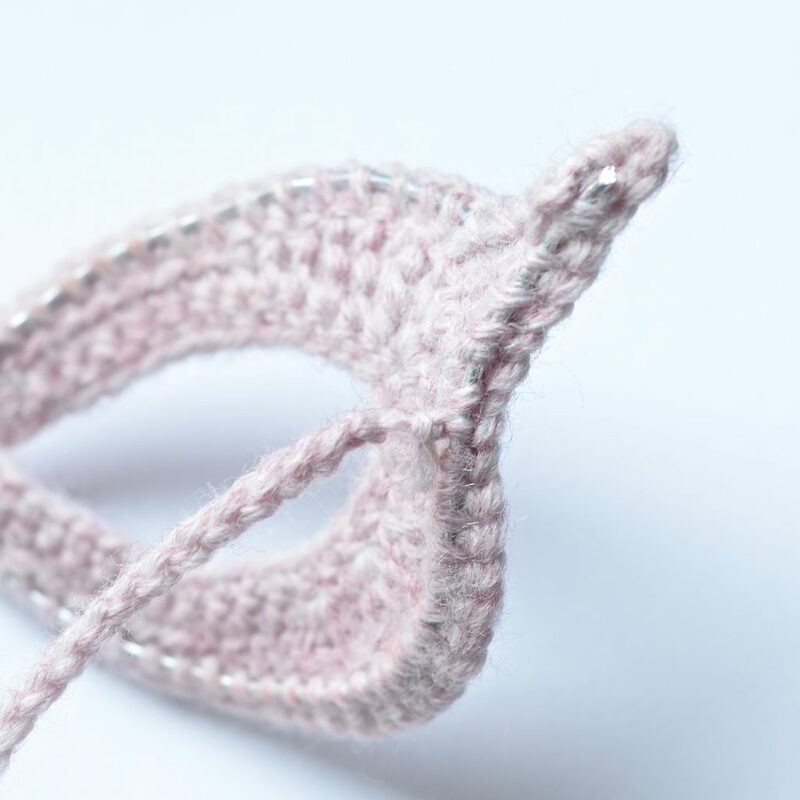 Special Join: Pull up on loop on hook, remove your hook, insert your hook under the top loops of the 1st sl st of the round, put the loop back on your hook, pull slightly to tighten it on your hook, pull yarn thru to the wrong side of the mask. Special Join complete. Fasten Off. Weave in ends. Sew gap closed from Round 1. Continue below to Adding Wire to Your Mask. 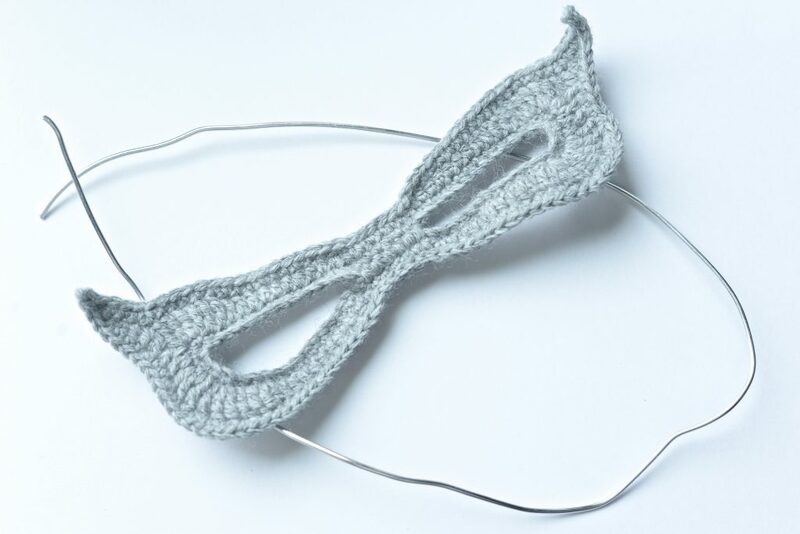 Step 1: Cut a length of wire that’s a little more than the perimeter around your mask (you’ll want it to be a little long so you can trim it later rather than have it end up too short). 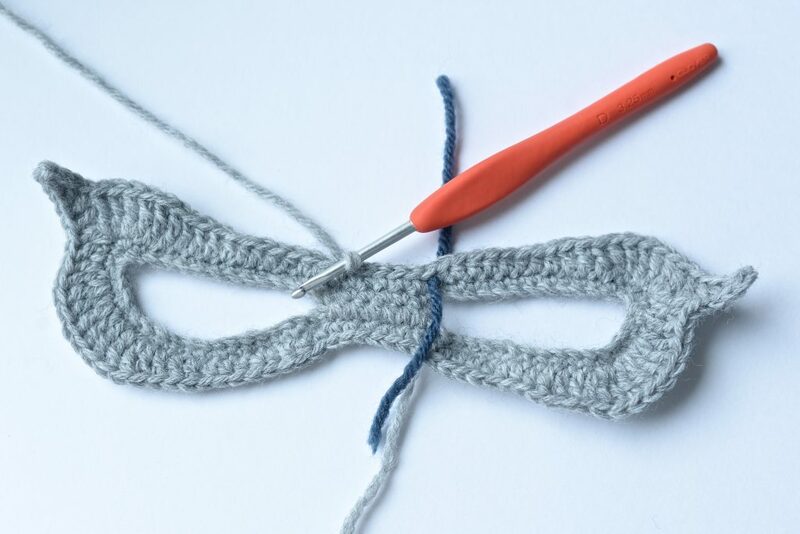 Cut a length of yarn that’s 2.5 times the perimeter of your mask. Step 2: I prefer to begin near the upper left “wing” of my mask. 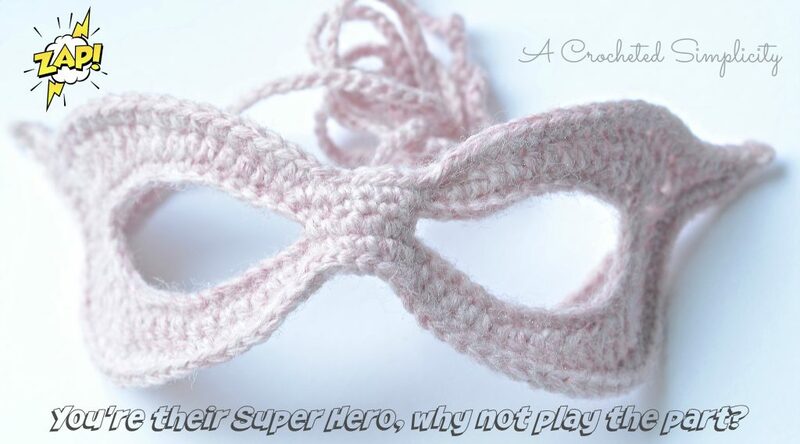 Hold the wire along the backside of your mask and using a yarn needle and yarn, sew the wire onto the backside of the mask around the mask’s perimeter. Bring your needle up thru the front of the mask under the top loops of the sc from Round 3, then bring it back down thru the bottom of the same sc from Round 3 (See Photos Below). Be sure you’re working around the wire on the backside of the mask. Step 3: Continue working around the perimeter of your mask, slightly shaping the wire as you attach it to the mask. 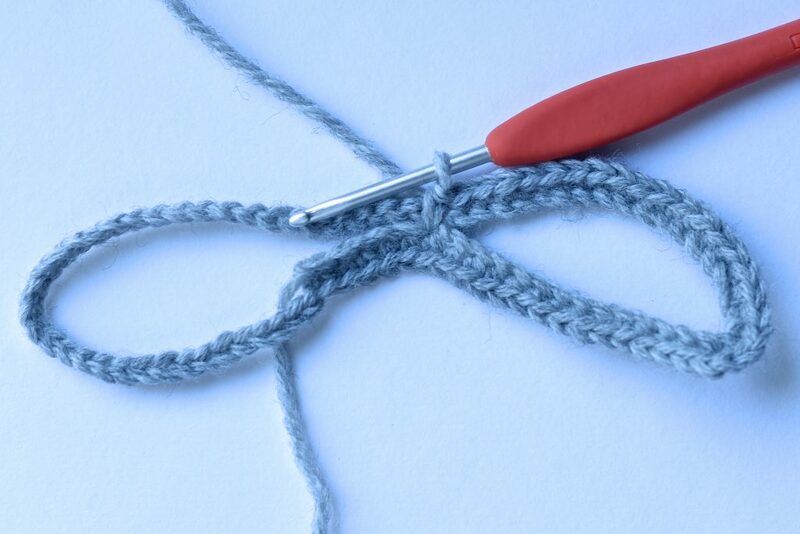 Once you’ve sewn the wire on the entire perimeter, you can trim the excess off. 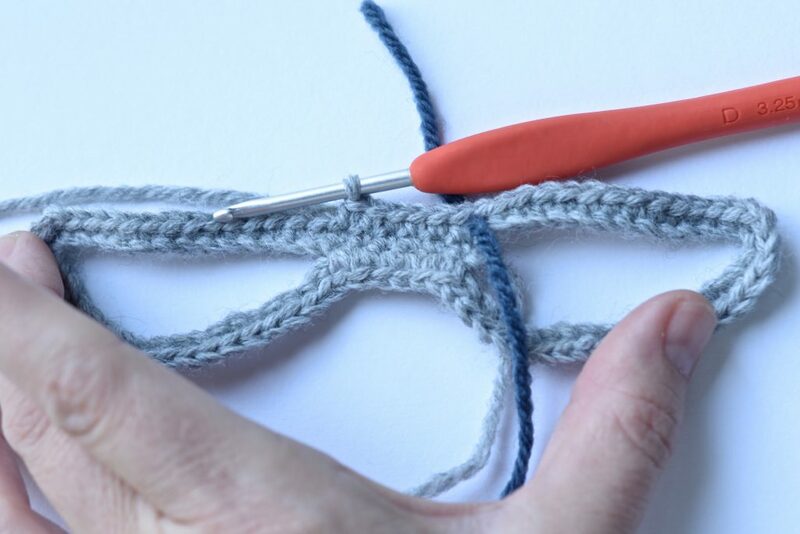 Bend any sharp ends of wire to make them curved, or add a dab of hot glue to the ends of them to cover the sharp points. Step 4: Shape your mask by bending the wire you’ve just added. Your mask is finished! Enjoy being the Super Mom that you are. 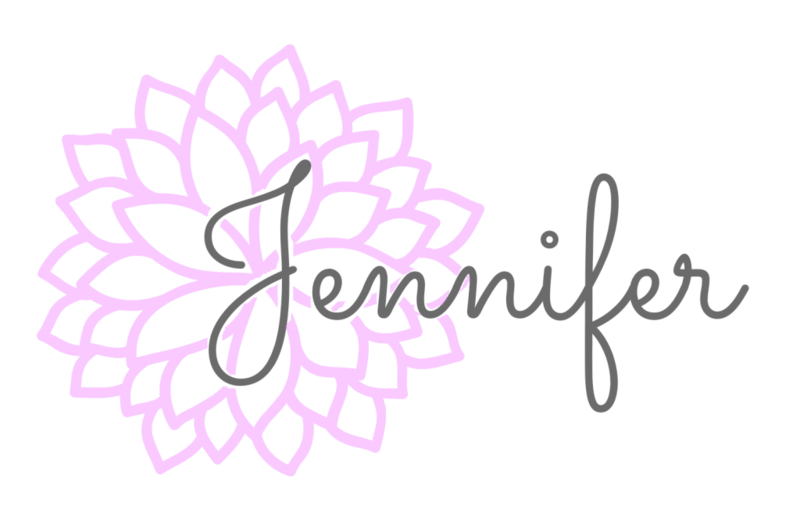 Please share your photos with me, I’d love to see all of the super moms out there! What gauge wire? I don’t work with wire crafts so I’m not familiar. Ok, sorry, I do see where you listed that. Thanks! No worries. 🙂 You’re welcome! Love this!! Thank you for sharing your pattern! !